The 5 day Classic Fly-in Botswana Savute & Chobe Wildlife tour provides you with the opportunity to see the vast Elephant herds in the Chobe Region. This Botswana tour includes flights ex/to Johannesburg and has no set departure date. Experience the fantastic wildlife of Northern Botswana on this 5 Day Classic Fly-In Savute and Chobe Wildlife Safari into the Savuti and Chobe region. Game drives, walking safaris, boats and makoro rides will allow you to experience the best of this fascinating part of the African continent. 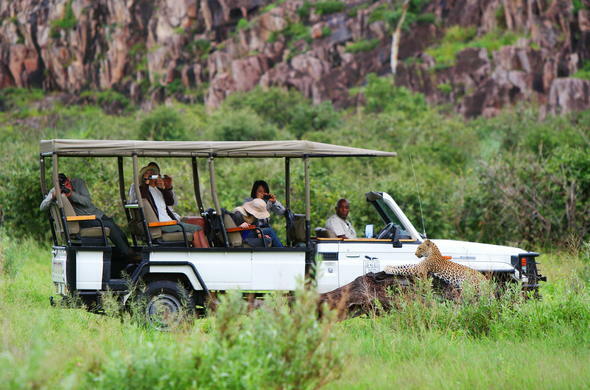 The Savuti area is world renowned for offering incredible game viewing. 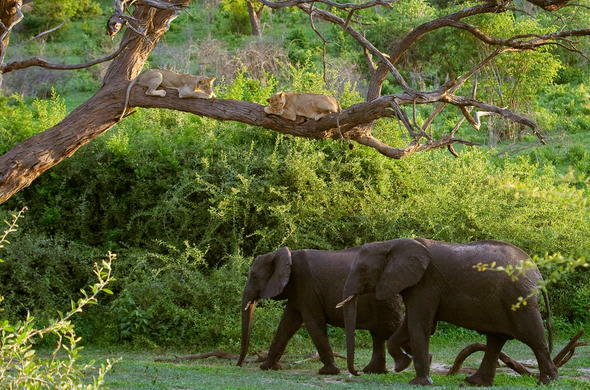 During the dry season, guests can expect to see the famous resident bull Elephants of Savuti, large prides of Lions, as well as Hyena and Cheetah. The region abounds with antelope such as Tsessebe, Kudu, Impala and Giraffe. During the summer months thousands of Zebra and other antelope species migrate to the area. 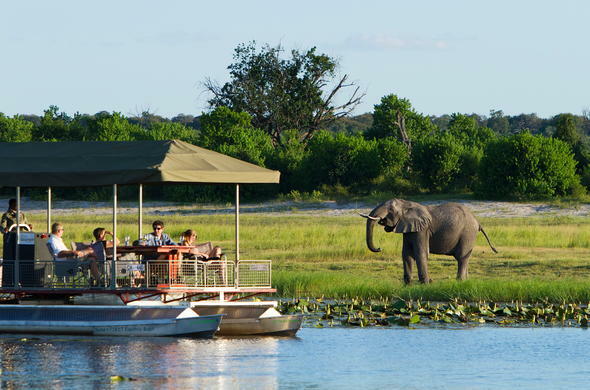 The second half of your Botswana safari will be spent along the beautiful Chobe Riverfront. The river is a major source of water for wildlife in the region during the dry winter months. You will see huge breeding herds of Elephant and Cape Buffalo. There are many antelope such as Zebra and Wildebeest, and this is the only area in Botswana where you can see the rare Puku antelope. You can also see African Skimmers during June and July. A trip to this park is the perfect combination with Victoria Falls. On the first morning of your 5 day Classic Fly-in Savute and Chobe Wildlife Safari you will catch a flight from Johannesburg O.R. Tambo International Airport to Maun. 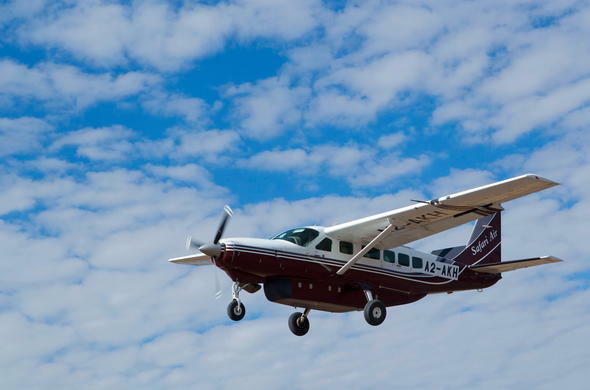 Your Botswana safari experience starts with a light aircraft flight from Maun to the Savute airstrip. This flight is a wonderful way to experience the beauty of the region from the air. After your arrival you will enjoy a refreshing lunch and time to settle into the safari lodge before heading out on a game drive to see the regions Bull Elephants and large herds of Buffalo, Wildebeest and Zebra. You may also see one of the many prides of Lion in the area. You'll enjoy sundowners in the bush, followed by a candlelight dinner under the African night sky. You'll have an early morning wake -up call and a snack before your morning game drive. These are led by professional safari guides who will unveil the secrets of the African bush. The Savute River is known as the disappearing river due to its habit of flowing and drying up independently of good rainy seasons. The channel is now flowing again and the region is lush. Your morning game drive may take you to the Gubatsa Hills which shelter Leopard and Klipspringer.Here you can see ancient San rock paintings that depict the San's encounters with local wildlife. Along the way you might see Kudu, Impala, Giraffe and Ostrich. After your return to the safari lodge for lunch and a rest you will head out to the Savute Marsh. This is where vast herds of Zebra and Buffalo gather after the summer rains. In the evening you can enjoy sundowners at the lodge and see the flocks of Marabou Storks that gather to roost in the branches of the trees on the edge of the lagoon. Today you will enjoy one last early morning game drive in the Savute region followed by breakfast, before a light aircraft flight takes you from the Savute Airstrip to Kasane. There you will get a road transfer from the Kasane Airport to the Chobe National Park where you will spend the next 2 nights. 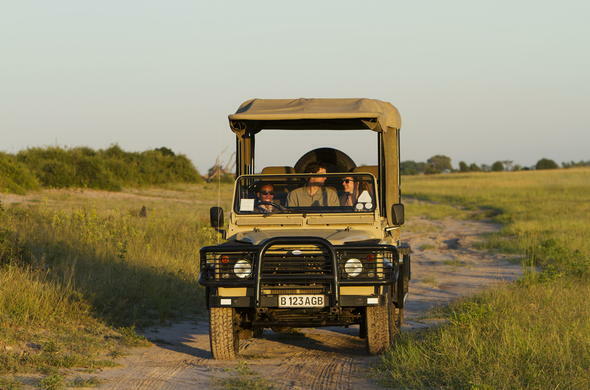 This takes the form of a game drive and allows you to get to know the area. Once you have had a tasty light lunch and relaxed, you will head out on either a game drive or a river cruise. River cruises are a great way to go game viewing, and you may see herds of Elephant that number in their thousands gather along the riverfront to drink, or see Hippos and plains game such as Zebra, Buffalo and Wildebeest. This morning you will explore more of the Chobe National Park on your morning game drive or you will enjoy a bush walk in the Lesoma Valley to the Kasuma Pan. These guided walks are a good opportunity to learn about the ecology of the region and see the smaller animals such as Mongooses and the many species of birds in the region. You'll return to the game lodge to enjoy a delicious lunch out on the terrace and a rest or quiet time reading a book from the well stocked library. In the afternoon you will enjoy a gentle cruise down the Chobe River, which is a good opportunity to see the resident Hippos. This is also one of the only places in Botswana where you can see the Puku Antelope. In the evening you will enjoy a wonderful dinner under the clear African skies, followed by some star gazing. This is a wonderful way to learn about local myths and legends surrounding the stars. You'll fall asleep with the sounds of the African wilderness in the background. Your last morning in the Chobe National Park starts with an early wake-up call, followed by a snack, tea and coffee before your safari vehicle is ready to take you on a game drive through the Chobe National Park. This is your last chance to watch the Elephants and spot other wildlife. You return to a tasty breakfast, before you depart taking your fond memories with you. A road transfer will take you to Kasane Airport for your scheduled flight back to Johannesburg O.R. Tambo International Airport. This Classic Fly-In Savute and Chobe Wildlife package is based on a 5 day safari for 2 guests sharing en-suite accommodation. This Botswana tour is all inclusive of meals and scheduled activities with flights ex/to Johannesburg O.R. Tambo International Airport. The flight from Johannesburg to Maun is on a daily basis with departures in the morning. The flight from Kasane Airport has set departure days on Monday, Wednesday, Friday and Sunday afternoons. This Botswana holiday can also be combined with a stay in Livingstone (Zambia) or Victoria Falls (Zimbabwe) and/ or the Okavango Delta.